One of my favorite finds from this summer’s International Fancy Food Show, I was able to talk with Sparrow Lane’s Chef Jesse Layman and taste their numerous vinegar offerings. This was Nirvana for me, the well-balanced flavors of the natural products; I wanted to take them all home with me. 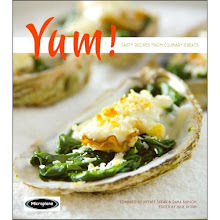 My flavor palate has always run sweet and tart and vinegars are most definitely in my flavor wheelhouse. Picking a favorite on of their vinegars is too difficult! 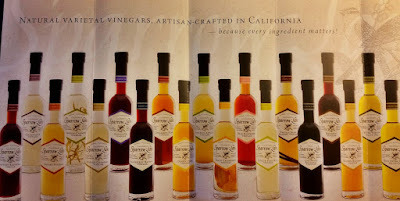 Walnut champagne vinegar, ginger pear rice vinegar, vanilla bean balsamic vinegar, Cabernet Sauvignon vinegar, California peach vinegar and those are just a few of Sparrow Lane’s vinegar selections. Based in California wine country, Sparrow Lane uses only the best wines to make their vinegars, aged with local fruits and spices adding a well-round burst of flavor for your culinary creations and libations; salads, shrubs or that special splash of acid to finish your dish.